As General Insurance Brokers, we get to see a LOT of insurance policies. So many in fact, the only way to correctly analyse them is through the use of Insurance Policy Comparison software analysis – which offers a full policy comparison across all Insurers and all Products. We utilise the outstanding services of PolicyComparison.com – and offer to all our clients at no additional cost as part of their insurance review. So what is PolicyComparison.com ? 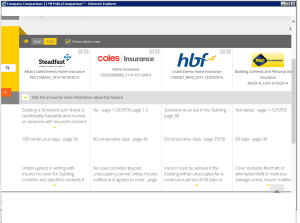 Put simply, its the greatest insurance policy comparison tool ever built! LMI PolicyComparison is a web-based service that provides assistance with policy wording analysis, compliance requirements, regulatory training, knowledge management and more. Experienced insurance researchers continually compare personal, commercial and rural products across the Australian Insurance market, including direct insurers, intermediaries and underwriting agencies. This enables us access to EVERY insurance policy in the Australian market – to provide comprehensive coverage analysis for our clients. Policy Comparison offers numerous benefits to ourselves as broker, and ultimately to our clients. To assist Brokers and their staff in supporting their recommendations to clients. 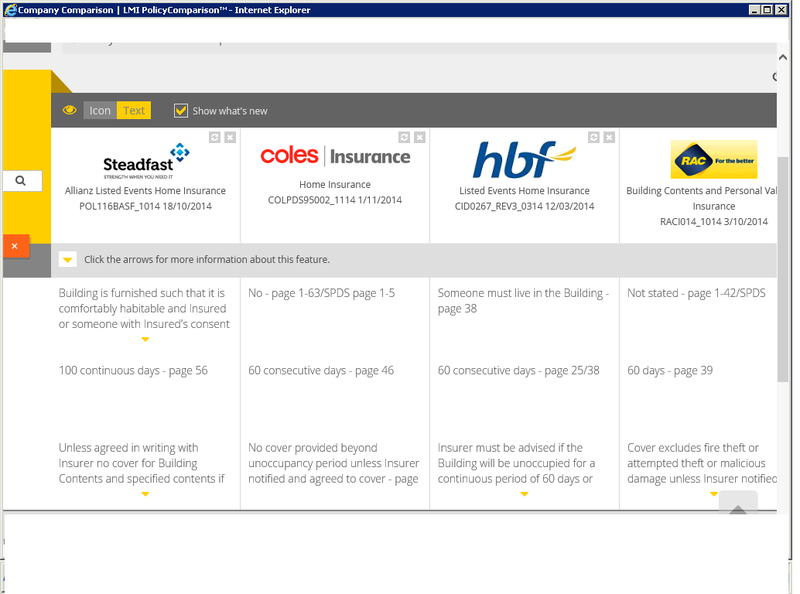 Allows Brokers and their staff to access archived as well as current wordings across a very broad range. This section gives Steadfast Network Brokers and their staff access to a wealth of information including a range of articles on specific industry issues. This section lists a range of specialist markets by occupation and can provide broker’s and their staff with a choice of markets. 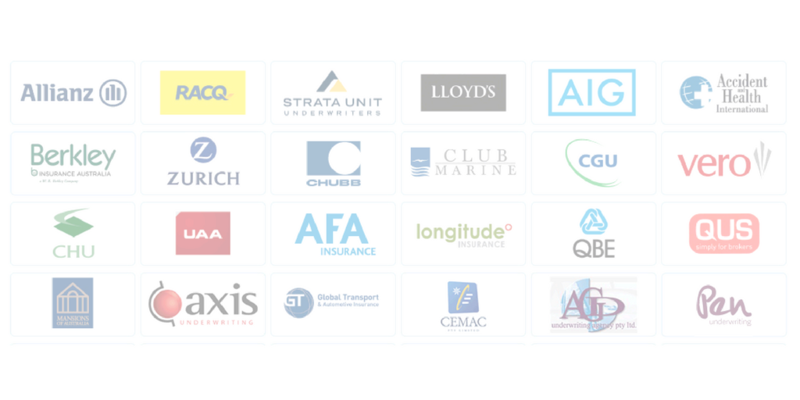 All Insurers are linked into their all encompassing web of insurance wordings, providing real time wording updates! LMI Group can provide training for Insurance Brokerage staff, as well as Insurance Company staff…and don’t they need it! An example of PolicyComparison below. We would love to point out the deficiencies of a Direct-Insured product versus our Brokered Steadfast Products, so feel free to ask. Insurance Policy Comparisons are available across all product lines we deal in – Home, Motor, Business Pack, Professional Indemnity, Liability, FarmPack, Directors & Officers, Management Liability, Travel, Strata…. and everything in between!